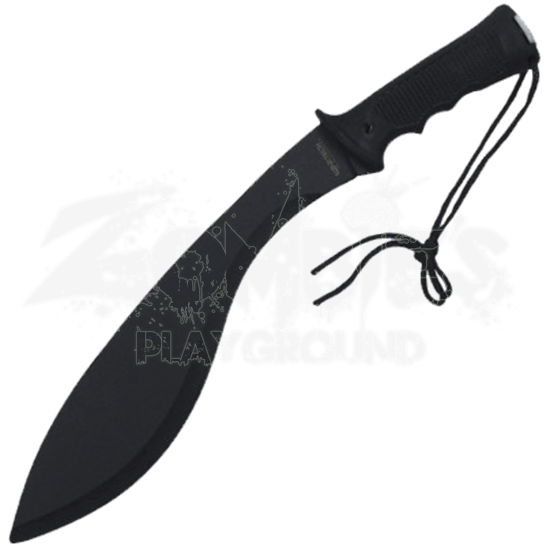 Your camping gear is incomplete without the presence of the Black Survival Gherka Machete. 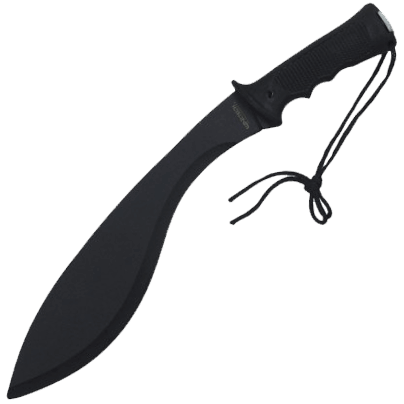 Thanks to its kukri style blade, modern survivalists can master their way through the various challenges and tasks of an outdoor adventure. Crafted from stainless steel, the curved blade possesses a black finish. Three finger grooves follow the lower half of the black ABS handle while textured lines strengthen the grip. This survival knife comes with an attached corded lanyard, survival kit, and black nylon sheath.